Very few research fields have moved from lab curiosity to massive markets as quickly as spintronics. This was celebrated in 2007 with the Nobel Prize awarded to Albert Fert and Peter Grünberg. In the last few years the range of materials used for spin devices has witnessed a dramatic broadening; now organic molecules and multifunctional compounds have joined more standard metals and inorganic semiconductors. This volume focuses on the experimental and theoretical aspects of spin phenomena in the solid state, with emphasis on traditional (inorganic metals and semiconductors) and novel materials like organics and multiferroics. 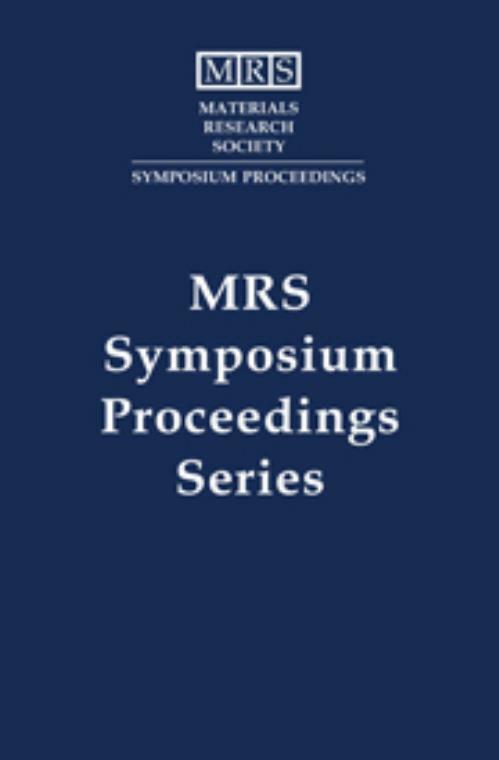 An appendix, with select papers from Symposium I, Engineered Multiferroics - Magnetoelectric Interactions, Sensors and Devices, is also included in the volume. Topics include: dilute magnetic semiconductor and oxides; magnetic resistive RAM; single-spin dynamics/DMS (III-V and group IV); spintronic materials; MTJ and dynamics; spintronics transport and imaging; multiferroic materials and oxides. Stefano Sanvito Trinity College, Dublin.